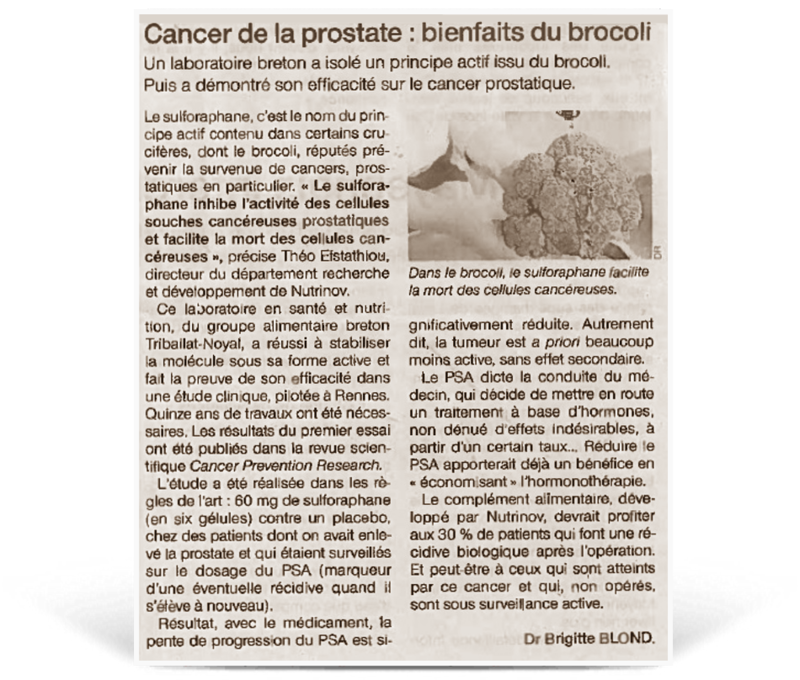 A breton lab entrusted us with a clinical evaluation of the effectiveness of its active ingredient – extracted from broccoli – in the treatment of prostate cancer. The results of the phase II study on Prostaphane® have been published. Published on 12/05/2015 in the Cancer Prevention Research journal. 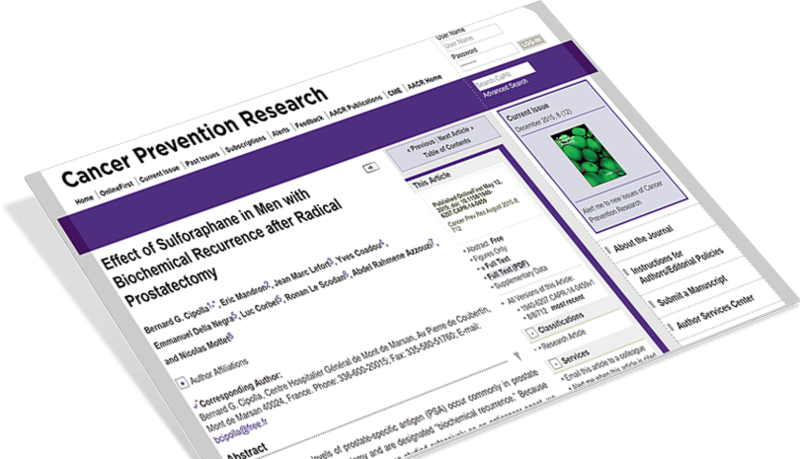 The study was carried out in 14 centres in France on 78 patients with biological recurrence after total prostatectomy. Prostate cancer : a broccoli-based food supplement to delay hormonotherapy ?